In July 2019 four IFE Board Directors reach the end of their terms of office. Two of these vacancies will be filled by ballot of members of the International General Assembly (IGA) and one by ballot of members of the IFE Registrants Group (IFERG). The fourth vacancy will be filled by ballot amongst all voting members of the IFE. Nominations of candidates for election to the Board are now invited: full details of how to nominate someone can be found on the IFE website. This year the various forms are available to download as Word documents, for return by email: no signatures are required. The deadline for the receipt of nominations is 12noon BST on 20 August. There will be two vacancies on the Board. This year the Nominations Committee has determined that the Board would benefit in particular from the appointment of women; non-white candidates; serving Chief Fire Officers; and candidates with professional qualifications or substantial experience in corporate finance/ accountancy; law; marketing and/or communications. Candidates who satisfy one or more of these criteria, and who are prepared to make a significant commitment to the success of the Institution, are particularly encouraged to put themselves forward for election. But that need not stop others from doing so if they believe they have a strong portfolio of relevant skills and experience. 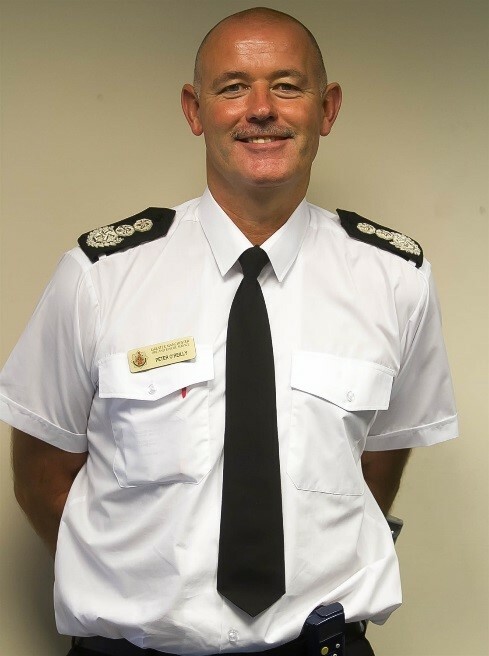 Peter originally joined Greater Manchester Fire and Rescue Service (GMFRS) on 1 March 2011 as Director of Prevention and Protection after serving for 21 years with Northern Ireland Fire and Rescue Service. On 1 April 2015 he was appointed to the role of County Fire Officer and Chief Executive and in June 2016 was awarded the Queens Fire Service Medal (QFSM). He served in Belfast for most of his career as a Firefighter, Junior Officer and District Commander, before moving to Ballymena as an Assistant Area Commander. He became the Area Commander for Northern Area Command in 2009. The 2017 Annual Report and Financial Statements will be available to view on the IFE website in early June. The notice of the 2017 IFE AGM, ballot form for election of a member to the Board of Directors, ballot envelope, proxy form and proxy envelope will be distributed to all voting members during the week commencing 5th June 2017. Peter Holland CBE QFSM FIFireE (Life) has been an active member of the Institution for the last 38 years and believes that he is still as enthusiastic now as he has ever been about the IFE’s work. Paul Richardson QFSM BEng (Hons) BSc CEng CFIFireE (Life) MCGI has received the IFE Lifetime Fellow achievement award.